The EuroLeague Fantasy Challenge is back after a one-week break as we head into the most important games of the season. Almost anything can happen over the next eight rounds. 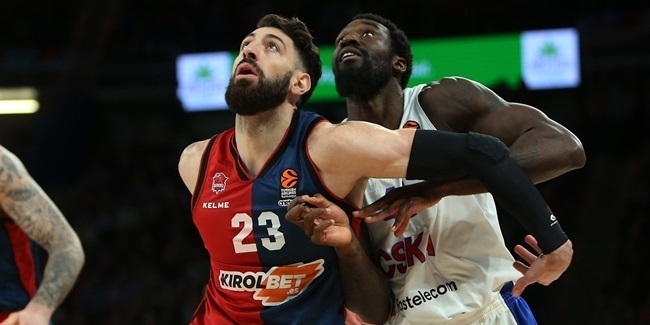 One thing is for certain - some of the best basketball of the competition will be played now as teams try to stay alive in the EuroLeague and battle for Final Four glory. If you thought the 2018-19 Turkish Airlines EuroLeague has been great, here comes the best part: it gets better and better until a team lifts the trophy in May. As for the Fantasy Challenge itself, my team, Gancedato, scored 138.5 points in Round 22 and dropped a few spots in the standings to rank 6,485th overall. I didn't get a lot of points from Jeremy Evans of Darussafaka Tekfen Istanbul or Brandon Davies of Zalgiris Kaunas, plus Mike James of AX Armani Exchange Olimpia Milan did not have the kind of monster performance I expected from him - even though he had a solid game in terms of PIR and his team beat Herbalife Gran Canaria. I need to do better this week and will use all of my three trades to make my team better. First of all, I am trading Evans because Darussafaka is eliminated. Of course, the team will keep competing and using its best players to do so, but I am not taking any unnecessary risks. I am also trading Vincent Poirier of KIROLBET Baskonia Vitoria-Gasteiz because his team plays on the road against FC Barcelona Lassa, which is always tough. Barcelona has been great on defense lately, especially in at home, and is protecting its paint really well. Finally, I am trading Vasilije Micic of Anadolu Efes Istanbul because his team plays against a very tough Olympiacos Piraeus side that needs to bounce back. Therefore, I need three new players and for a change, I have good money and a lot of choices. First, I am adding Derrick Williams of FC Bayern Munich. I expect Madrid to be a bit tired after the Copa del Rey tournament and it could be a good chance for Williams to show his value. He has been doing great lately, too. As for my new point guard, and since Sergio Llull doesn't seem to be at his best physical level, I am adding Facu Campazzo of Madrid, hoping he will see a lot of extra playing time - and that usually comes with a higher PIR. Last but not least, my new center will be Tarik Black of Maccabi FOX Tel Aviv. After the game against Olympiacos, his coach, Ioannis Sfairopoulos, said that Black could play even better, and that is what I am expecting this time around. A solid game against Milan, which is struggling at the center position. Mike James, AX Armani Exchange Olimpia Milan (PG). I expect a high-scoring game between Milan and Maccabi. If that happens, I expect James to score a lot. Team captain, one more week. Nando De Colo, CSKA Moscow (SG). Back at his best level, De Colo is once again a dominant force in the EuroLeague Fantasy Challenge. A must-have player, all the way through. Will Clyburn, CSKA Moscow (SF). One more week, Clyburn is almost irreplaceable at the small forward position. Potentially, no one can do better than him. Reality can be different, though. Brandon Davies, Zalgiris Kaunas (PF). 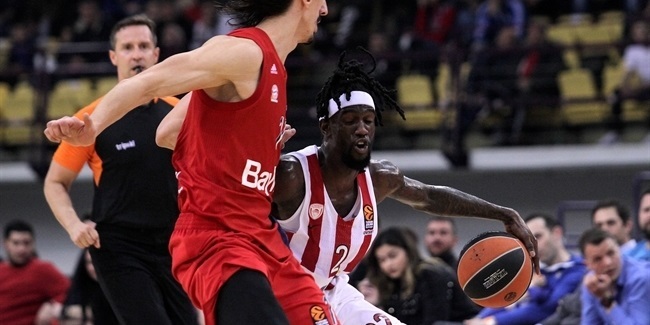 I Considered selling him, but Davies is a good fit against Buducnost VOLI Podgorica. One more week for him. Tarik Black, Maccabi FOX Tel Aviv (C). I chose him for two reasons: 1) Milan is missing two big guys and 2) Black comes off a huge fourth-quarter performance against Olympiacos. Facu Campazzo, Real Madrid (G). 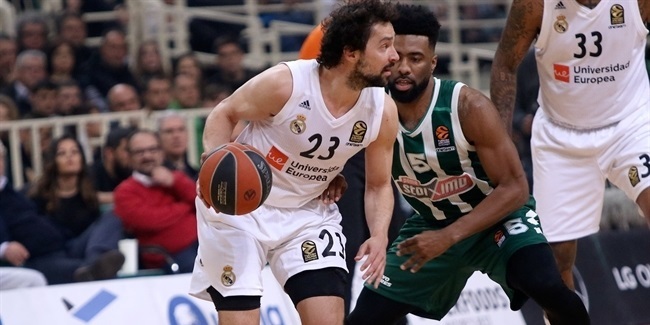 It looks like Sergio Llull is not in his best form - and if he isn't, Campazzo is the man to step up. Could he be the man of the moment for all Fantasy Challenge managers? Derrick Williams, FC Bayern Munich (F). He's having a great season and could take advantage of Madrid being a bit tired. Williams is proving to be a first-class power forward. Vladimir Micov, AX Armani Exchange Olimpia Milan (U). Played really well last time against Maccabi in Tel Aviv (25 PIR) and Milan will need his all-around game to get a critical win. That's all I have for you this week. Good times ahead for Turkish Airlines EuroLeague fans! Make sure it is even better by challenging for one of the remaining prizes in the EuroLeague Fantasy Challenge!